Trailer Ramps TR-5 are ideal for low ground clearance cars with extra wide tires. Trailer Ramps help get low ground clearance vehicles onto trailers without scraping the nose on the trailer ramp door. Trailer Ramps are another innovative use of Brute Industries patented super lightweight 100% solid construction technology. The Connect-A-Mat Parking Stopper by Home Decor helps take the guess work out of knowing when to stop your car when parking. Made of ethylene vinyl acetate, the Parking Stopper is light weight and portable and easy to clean. The middle hole design uses the weight of your vehicle to help keep the Parking Stopper in place and lets you know exactly when to stop when parking. Available in a variety of colours. 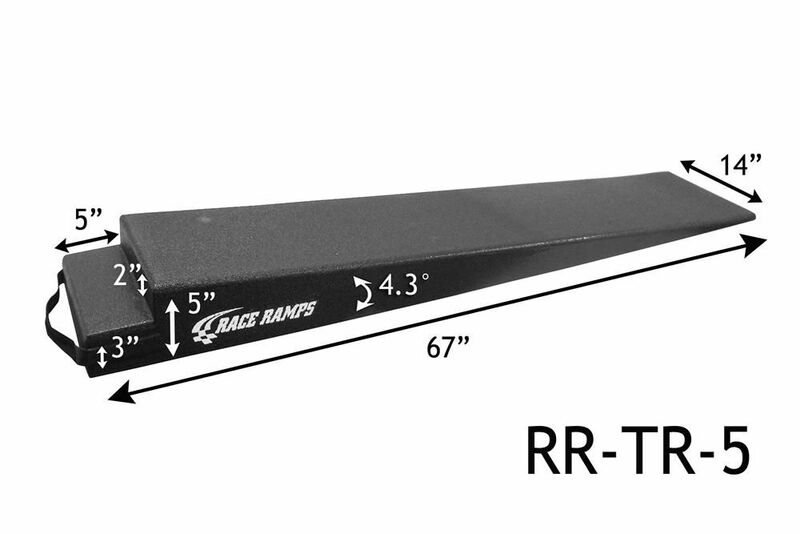 67 inch TR-5 Trailer Ramps TR-5 are ideal for low ground clearance cars with extra wide tires. Trailer Ramps help get low ground clearance vehicles onto trailers without scraping the nose on the trailer ramp door. Trailer Ramps are another innovative use of Brute Industries patented super lightweight 100% solid construction technology.